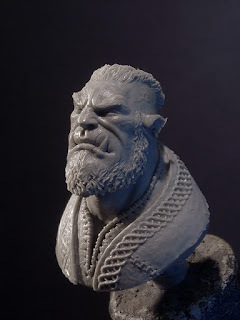 The winner of this weeks tutorial voting is here. 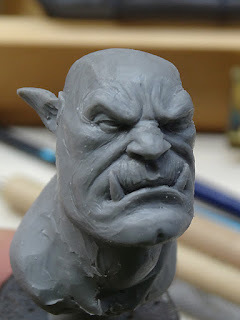 This time it's a very small step by step and also not about painting, but about sculpting. You will also find a lot more step by steps in MV's article section. 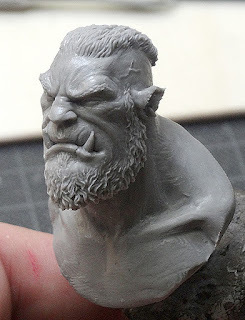 If you have the feeling you want to paint your own version of this bust, you can get Ragnok at FeR Miniatures. 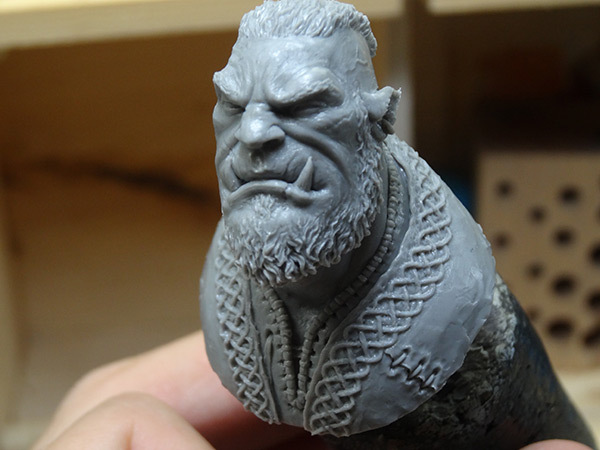 First, let's talk a bit about the material I used for this bust. 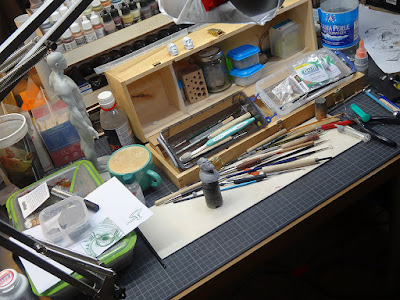 In the past I used a lot of different clays and materials and so far, for busts I really like BeeS Putty Plastic Firm. You get very similar results with all kind of different clays, a mix of Fimo Classic and Super Sculpey Firm is also fantastic. In the end it is up to personal taste. The exact same is true for sculpting tools, many people prefer metal tools over wooden tools, I personally use what ever works for me, most of the time it is a variety of metal tools. 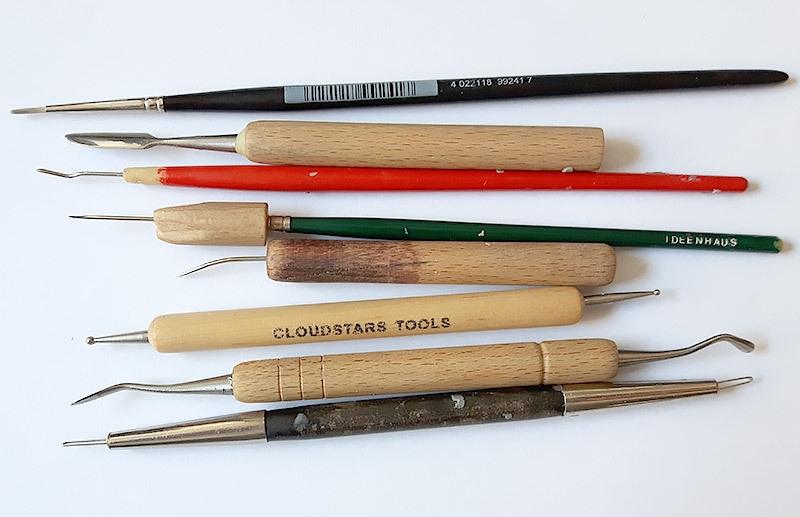 Here are 90% of my sculpting tools. 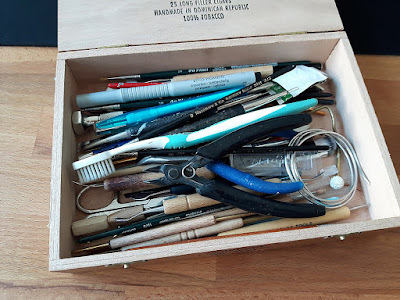 And there are the tools I use most for smaller projects. 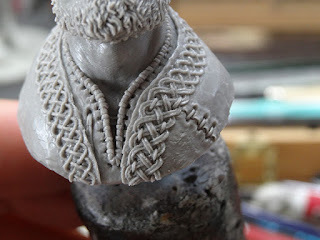 So let's start with the photos of the sculpting process itself. First I started to build up basic volumes of the head, I start very simple and then add more details. 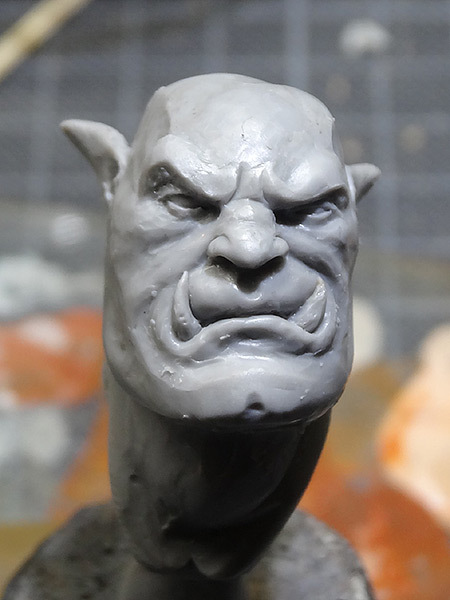 Here, I already worked a bit more on wrinkles and texture. 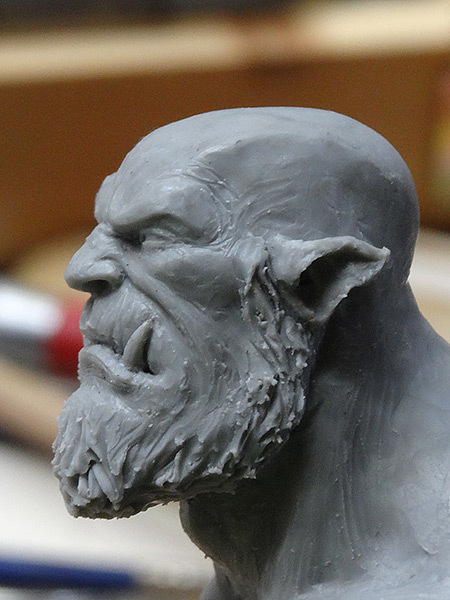 Added more basic volumes for the beard and refined the ears a little bit. You can also see the neck area got a little more love. More work on the beard and haircut. Adding small texture to the beard and hair and working more on the body. I also added scars and more wrinkles to the skin. 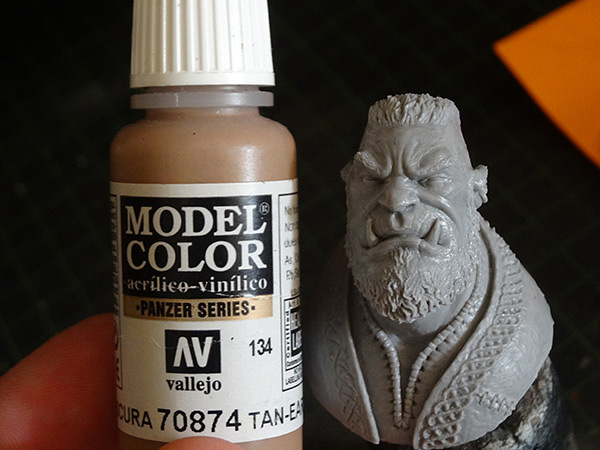 A size comparison to a Vallejo paint bottle. I finished laying out the basic design of the pattern, now the real work can start. Everything goes better with a fresh cup of coffee! In the end, I just added the fur and finished the project. Unfortunately I have no photos of the finished, unpainted sculpture. But you can find both of Roman's painted versions here on the shop site. I hope you enjoyed this Step by Step, even if it was a bit short. Thanks a lot for the Step-by-Step. 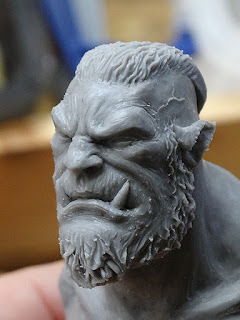 What I ask myself is the state before the first orc pic: Did you really use a chunk of sculpey or has the mini some kind of skeleton beneath the clay? Ah yes, sorry I should have mentioned this. Yes, there is wire underneath, a reverse U shape was used for it.